Once you've chosen the yacht crew position you want to apply for and you've prepared for the position and created a search and application strategy, it's time to create your resume or CV and a cover letter. Don't be tempted to use a resume you've prepared for jobs in another industry. Yachting is a very different industry and employers are looking for different things than traditional land-based businesses. 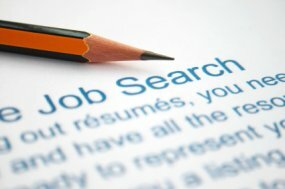 Here are some basic tips and advice for preparing your resume and making yourself stand out among a sea of applicants. More in-depth information and resume/CV strategies are available to members of CruiseJobFinder - another great reason to join. Even though people are applying for a job, they often forget or don't realize that the resume or CV is really a sales tool. Its purpose is to get the employer interested in hiring you because he or she can see you're a great fit for the job and a good person to have around. Your resume or CV needs to show that by presenting all of the relevant information and formatting it in a way that is easy for the potential employer to find and read. There are a few important differences to yacht crewing that make how you write your resume or CV even more important. First, since yacht crew members are traveling together and sharing the same quarters for weeks at a time, you not only need to prove that you have the skills and experience necessary to do the job, but you also need to show that you're pleasant, flexible, and work well as a team and with others. If your personality comes across as distant, hostile, or uncooperative, you will definitely not get hired. Second, no matter how large or small the yacht is, crew members that have multiple skills and abilities related to yachting are often viewed as more attractive to the captain or owner. For example, if you are currently a first mate but you've had engineer training and worked as an engineer in the past, you will be more likely to get hired because you can fill in or assist with the engineer if needed. That can also hold true for non-yachting experience. If you're applying for a steward position currently and you've worked at a luxury hotel for the past three years, your application will be more attractive to potential employers. Outside of the United States it is very common to include a photograph with your CV or resume. Even though this isn't customary in the U.S., because many yachting jobs are non-U.S.-based, you will often be required to provide a photo of yourself. When you include a photo use common sense. Don't upload one from your Facebook page taken at a club or bar. The photo needs to be professional. A head shot, with you wearing clothes very similar to what you will be expected to wear onboard ship - a polo shirt and shorts or khaki pants - works well. In general, keep your resume brief. Remember that captains and owners may receive dozens, if not more, resumes or CVS for every open position. If your resume or CV is novel-sized the potential employer is sure to move on to the next one. He or she simply doesn't have time to read it all. Additionally, plan to put the most important information and experience at the top of the page. You need to grab the employer's attention in the first three to six seconds. Also keep in mind that your goal is to describe to the employer what you can do for him or her. When it comes to format, keep your resume as simple as possible. You can vary the font sizes in headings, but only use two to three sizes. It is also preferable to put some headings in bold or all caps rather than changing the font sizes. You also don't need to use lots of colors. In fact, just black and white are usually best and look the most professional. If you feel you must use a color to emphasize something, red works well, but do not overuse it. There seems to be a growing debate today about whether cover letters are even necessary, since many employers ask you to fill out online forms and there is no opportunity to provide one. A good rule of thumb is to create one anyway and have it ready for when it is required. There will be times when you will be e-mailing or sending resumes to employers or agencies and you will need a cover letter. Recruiters at many agencies complain when they receive a blank e-mail with an attachment. They simply delete it. Keep the cover letter brief and to the point, but also make sure it accurately represents your skills and experience. Remember, just like the resume, it should be all about what you can do for the employer, not what the employer can do for you. Put yourself in the employer's shoes and think about what he or she is looking for, and reflect those qualities in both your resume and your cover letter. This is just the tip of the iceberg. There are many more strategies and tips that you can use to stand out from the crowd when you become a member of CruiseJobFinder. In addition you'll learn where to send your resume, and read inside information from current yachting crew team members. Joining CruiseJobFinder is a great first step toward launching your yachting crew career.